NDSSC IS BACK!!!! 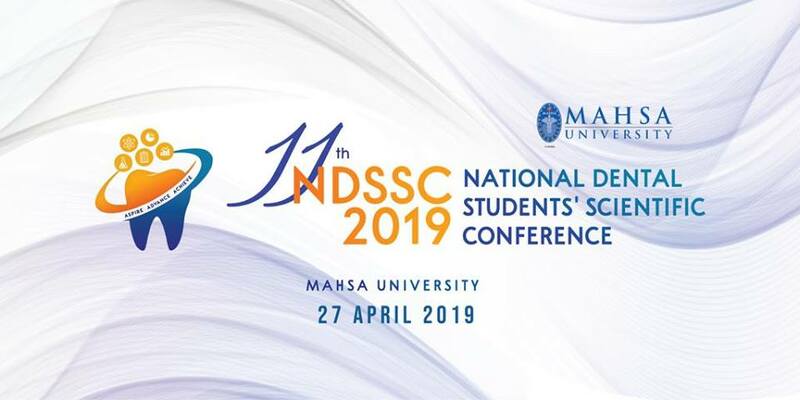 MAHSA University is privileged to be the organizer for the 11th NDSSC which will be held on the 27th of April 2019 at MAHSA University’s Bandar Saujana Putra campus. Registration starts from the 8th of March to the 5th of April 2019. Click the link below to REGISTER NOW!!!! For any enquiries, please contact ndssc2019@mahsa.edu.my . For more info, please visit our website https://mahsa.edu.my/conf/2019/dental/ndssc/index.html or Facebook page https://m.facebook.com/NDSSC-2019-260048054907096/ .